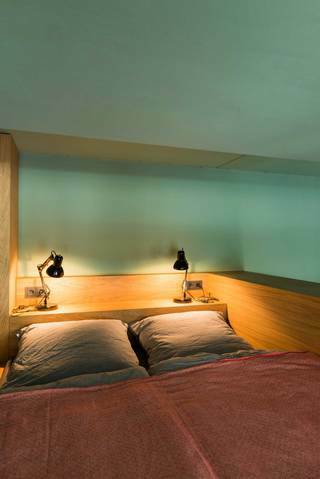 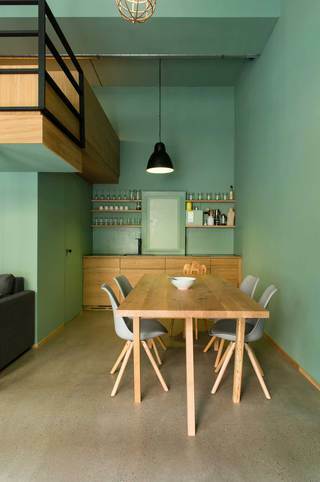 Design for a mini apartment with 36 square meters of floor space in Berlin Friedrichshain. 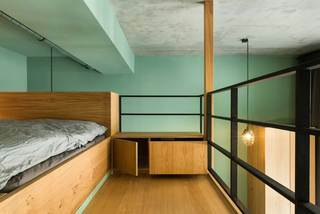 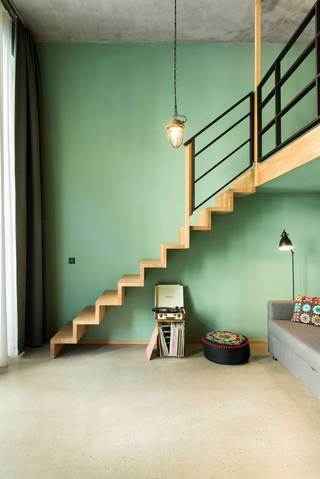 Despite the small space, the room height allowed for a mezzanine level and a separate space for sleeping. 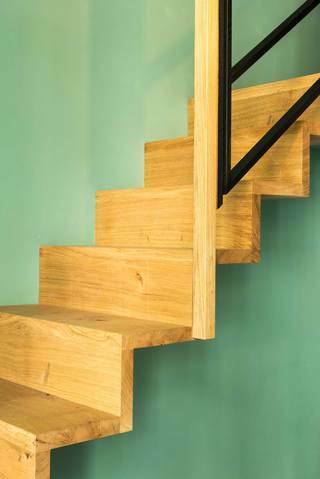 All furniture and the stairs are made in Oak. 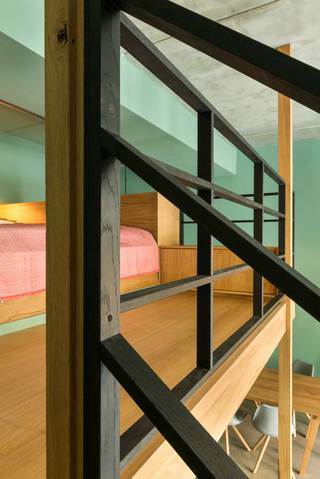 Handrail in black stained Oak.